The Luzerne County West Nile Program will be conducting an ultra-low volume (ULV) mosquito control operation to reduce high populations of mosquitoes capable of transmitting West Nile Virus on August 15, 2018 in parts of Exeter Borough, Forty Fort Borough, Pittston City, West Pittston Borough, and Wyoming Borough. 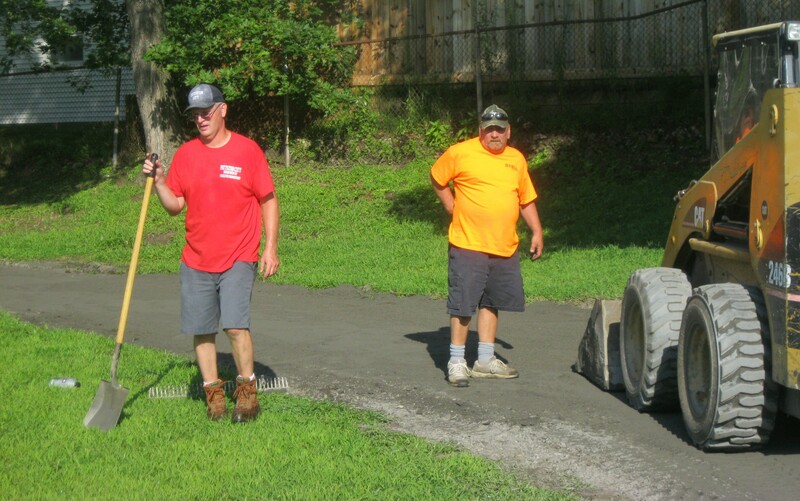 The treatments will be administered via truck-mounted equipment, spraying residential and recreational mosquito habitat. The equipment dispenses AquaDUET at a rate of 0.62 ounces per acre. The product is designed to provide quick, effective control of adult mosquito populations. The application material has a very low toxicity profile to mammals and will have negligible impact to non-target insects and the environment. The spray will begin at dusk (pending any unforeseen circumstances) and conclude between 9:30-10:30pm. Residents should stay indoors as much as possible during these hours only. In 2018, West Nile virus has been detected in the following counties: Adams, Allegheny, Armstrong, Beaver, Bedford, Berks, Blair, Bucks, Butler, Cambria, Carbon, Centre, Chester, Clarion, Clearfield, Clinton, Columbia, Crawford, Cumberland, Dauphin, Delaware, Elk, Erie, Fayette, Forest, Franklin, Fulton, Greene, Huntingdon, Indiana, Juniata, Lackawanna, Lancaster, Lawrence, Lebanon, Lehigh, Luzerne, Lycoming, McKean, Mercer, Mifflin, Monroe, Montgomery, Montour, Northampton, Northumberland, Perry, Philadelphia, Schuylkill, Snyder, Somerset, Union, Venango, Washington, Westmoreland, Wyoming, and York. Weather conditions and other unexpected events could delay or cancel this spray operation. If conditions do not allow application on August 15, 2018, the following evening, August 16, 2018 will serve as the back-up spray date. If conditions remain unfavorable, the spray will be postponed until weather permits. Dispose of cans, buckets, plastic containers, ceramic pots or similar containers that hold water. Clean and chlorinate swimming pools not in use and remove any water that may collect on pool covers. If a resident has stagnant pools of water on their property, they can buy BTI products at lawn and garden, outdoor supply, home improvement and other stores. This naturally occurring bacterium kills mosquito larvae, but is safe for people, pets, aquatic life and plants. Use insect repellents according to the manufacturer’s instructions. An effective repellent will contain DEET, picardin or lemon eucalyptus oil. Consult with a pediatrician or family physician for questions about the use of repellent on children, as repellent is not recommended for children under the age of two months. For more information about West Nile virus and the state’s surveillance and control program, please visit www.westnile.state.pa.us. 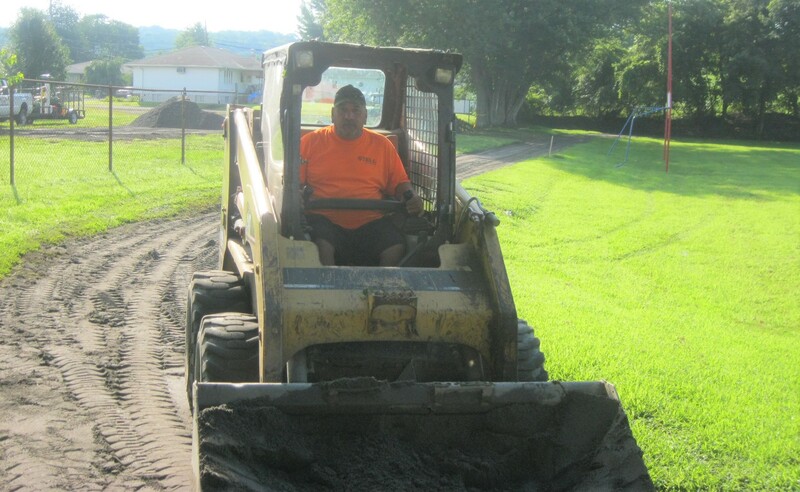 The Pittston City Street Department’s Public Property maintenance team recently began a series of repairs and improvements to Albert J. West Memorial Park on Swallow Street. The concession stand used by the Pittston Junior Patriots Mini-Football and Cheerleading was painted and improvements made to its exterior lighting. 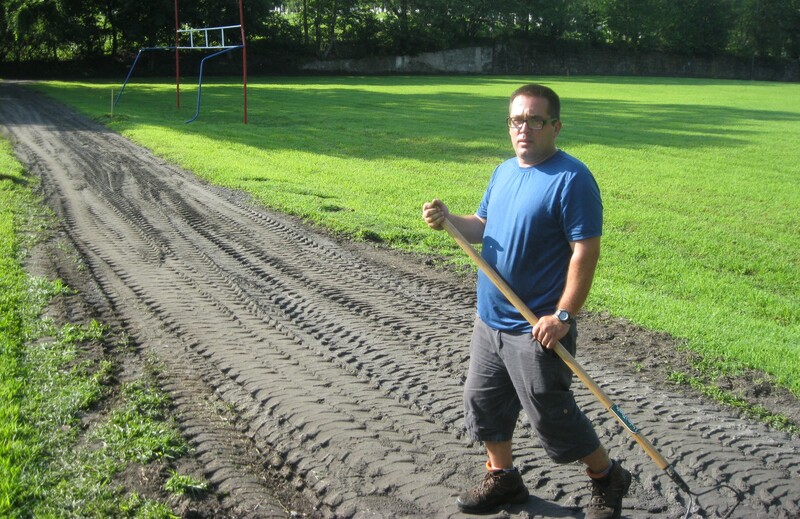 The running and walking track around the field is being re-graded and new cinders layed. The football field goal posts are being painted. 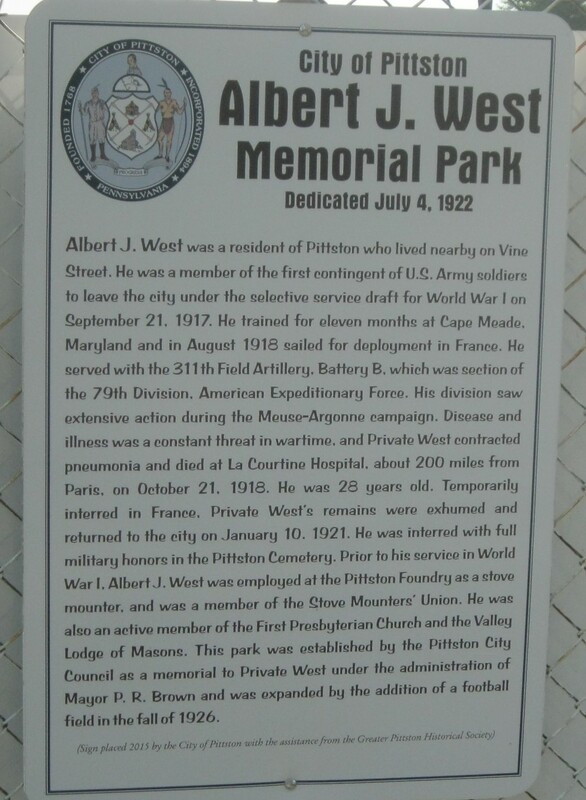 With this being the centennial anniversary of the end of World War I in 1918, further improvements and repairs will continue to the park named for a Pittston City World War I soldier will continue throughout the rest of the summer. City residents are reminded that per the recycling calendar, there will be city-wide yard waste collection on Monday July 2nd. Yard waste usually collected on Wednesday will be collected on Monday. City Hall and the Street Department will be closed Wednesday July 4th for the Independence Day holiday. Garbage usually collected Wednesday will be collected Thursday July 5th and garbage usually collected Thursday will be collected Friday July 6th. Curbside Yard Collection begins for the north side of the city on Wednesday April 4th and the south side on Friday April 6th. Please check the 2018 Recycling Calendar for future collections. Yard waste must be curbside in open containers less than 30lbs. No rocks or dirt. Branches must be cut to 3ft in length and no thicker than 4 inches and bundled. Thank You! The 2018 City of Pittston Recycling and Refuse Calendar is now available. 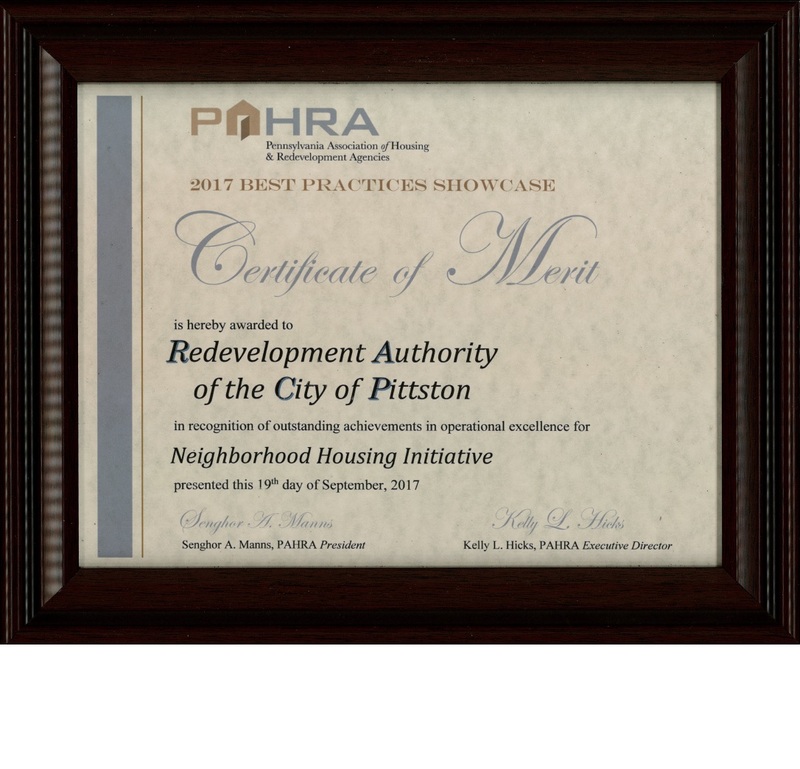 Print copies are available at Pittston City Hall, 35 Broad Street and the Pittston Memorial Library, 49 Broad Street. View the calendar and download a copy by clicking here. Please note due to the winter weather, Pittston City Hall will close at 1pm today. Our Street Department is out plowing and salting, but please use extreme caution and travel only if necessary during this winter weather event. …WINTER STORM WARNING REMAINS IN EFFECT UNTIL 1 AM EST SATURDAY… * WHAT…HEAVY SNOW EXPECTED, ESPECIALLY AT HIGHER ELEVATIONS. WIDELY VARYING TOTAL SNOW ACCUMULATIONS RANGING FROM 4 TO 8 INCHES IN THE VALLEYS, WITH 6 TO 10 INCHES AT HIGHER ELEVATIONS. LOCALIZED ACCUMULATIONS UP TO 14 INCHES POSSIBLE IN THE POCONOS OF EASTERN LACKAWANNA AND LUZERNE COUNTIES. * WHERE…BRADFORD, WYOMING, LACKAWANNA, AND LUZERNE COUNTIES. * WHEN…RAIN CHANGING TO WET SNOW IN THE PRE-DAWN HOURS OVER THE HIGHER ELEVATIONS AND AROUND DAYBREAK FOR THE VALLEYS. HEAVIEST SNOW INTO THE EARLY AFTERNOON HOURS, DIMINISHING BY THIS EVENING. * ADDITIONAL DETAILS…PLAN ON DIFFICULT TRAVEL CONDITIONS, INCLUDING DURING THIS MORNING’S COMMUTE. TREE DAMAGE AND SCATTERED POWER OUTAGES EXPECTED FROM GUSTY WINDS AND WEIGHT OF SNOW. WINDS GUSTING 40 TO 55 MPH THIS AFTERNOON AND EVENING WILL CAUSE BLOWING AND DRIFTING SNOW IN THE HIGHER ELEVATIONS. PRECAUTIONARY/PREPAREDNESS ACTIONS… A WINTER STORM WARNING FOR SNOW MEANS SEVERE WINTER WEATHER CONDITIONS WILL MAKE TRAVEL VERY HAZARDOUS OR IMPOSSIBLE. IF YOU MUST TRAVEL, KEEP AN EXTRA FLASHLIGHT, FOOD AND WATER IN YOUR VEHICLE IN CASE OF AN EMERGENCY. Pittston City Streets & Sanitation Department will collect live Christmas trees curbside from January 8th to 19th. Trees must be free of decorations, lights, and stands. Additionally trees cannot be in plastic bags. All trees are taken to a recycling center to be ground into mulch which is why they cannot be in bags. The entire length of Cliff Street is currently under construction by a contractor for the Pennsylvania American Water Company who is installing a new water main. 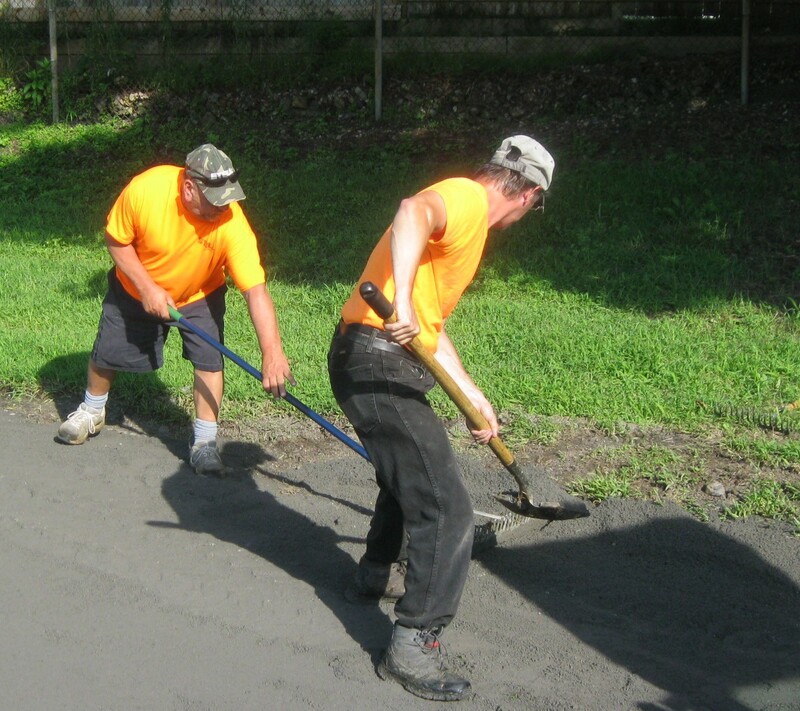 When the project is complete, the road will be completely repaved. Please use caution when traveling in this area until the work is complete. 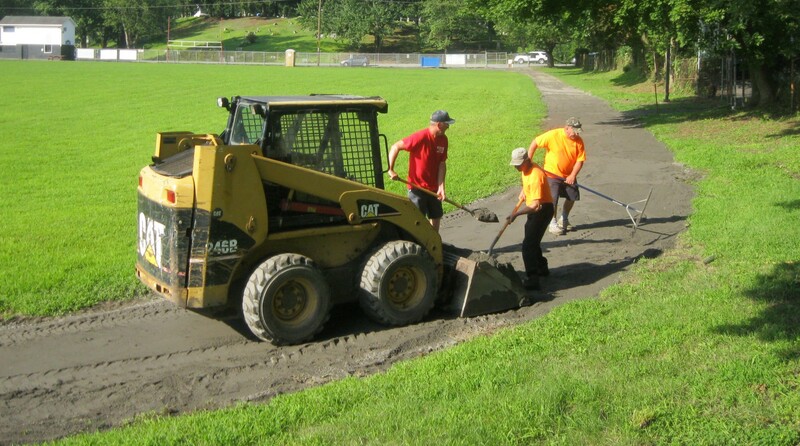 The City of Pittston would like to inform all residents that the basketball courts at Jefferson Park will be closed on Monday July 24 through Monday July 31 for the final applications of the acrylic surface and line striping. In celebration of the Independence Day Holiday all City of Pittston offices including the Department of Public Works will be closed on Tuesday July 4th. Due to the Holiday closing refuse and recycling collections will not be picked up in the City of Pittston on Tuesday July 4th. Tuesday’s regular refuse and recycling pick-up will be moved to Wednesday July 5th, Wednesday’s regular collection will be moved to Thursday July 6th and Thursday’s regular pick-up will be moved to Friday July 7th. Regularly scheduled pick-ups will resume on Monday July 10th for yard waste, refuse and recycling. Thank you for your cooperation and enjoy a safe Independence Day Holiday.